A spaceship hurtles into the unknown carrying humanity’s last hope, but does it also carry the seeds of its own doom? The galaxy’s ultimate facilitator finds himself pursued by relentless enemies, while, of greater importance, there’s a puzzle to be solved. A trivial disagreement between two off-duty super soldiers out for some R&R escalates and escalates, eventually endangering an entire world. Thirteen tales of human striving, of ingenuity, brilliance, desperate action, violence, and resolution. 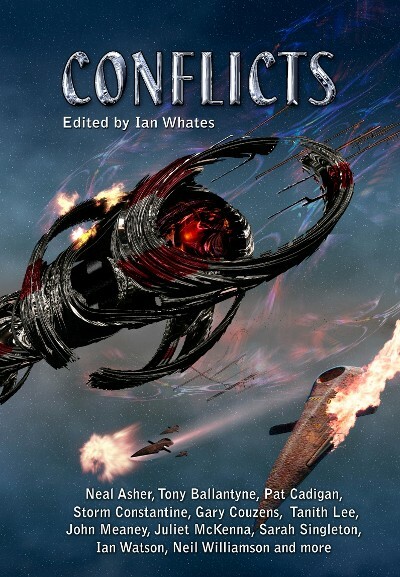 Thirteen tales of Conflict, of Science Fiction at its absolute best. All stories are original to this collection.